A fire extinguisher could save your life in an emergency. Whether you work in an office building, commercial, warehouse environment or industrial site, or even for your home, having the right type of fire extinguisher in the right location is essential. 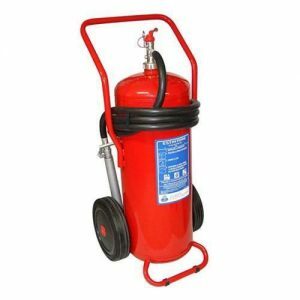 DCP Fire Extinguisher is standing for Dry Chemicals Portable Fire Extinguisher. 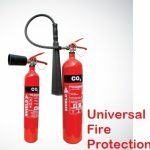 Dry Chemical portable fire extinguishers are the most widely used of all types of extinguishers. Dry chemical powder extinguishers are suitable for class A (combustible materials), class B (flammable or combustible liquids) and/or class C (electrical) fires or a combination of ABC class fires. 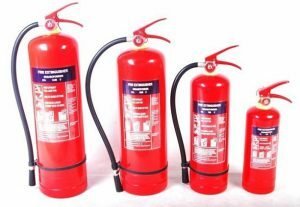 All the extinguishers supplied conform to the minimum fire ratings as specified in SANS 1910:2009. They are highly effective for electrical hazards. This multi-purpose extinguisher interferes with the combustion process and provides rapid-fire knockdown. They are ideal for mixed fire risk environments and especially suited for protection for liquids, storage of liquid gases and heating oils used for industry, garages, and workshops. 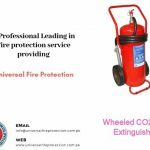 We offer a wide range of fire extinguishers to suit specific firefighting applications, including Carbon Dioxide (CO2), Water, Foam & Wet Chemical, Dry Chemical Powder and Mobile Extinguisher products with quality service at your door Step.